There is a lot of very interesting literature surrounding the field of learning theory, with a lot of it of great relevance to sports coaches. Indeed, coaching itself is increasingly being treated as more of a science, with its own specific topics of research and study. This is of great benefit to anybody working in the coaching field, and the materials available today can really enhance the quality of teaching and instruction that a well-informed coach is able to offer. A lot of the information in regards to coaching theory can also be very useful for those trying to develop their own sporting skills. A good article on the ‘Sport In Mind’ website here discusses the use of ‘teaching games’ in the learning of a sport (football in the examples given, but equally applicable to other sports), as opposed to just basic skills practice. The gist of the article was that there will be a far higher level of technical and tactical mastery developed from a more game-based approach to training, than through just endless repetitive drills. 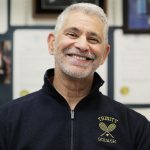 Of course, this is not to say that technique development is not important, as grooving and perfecting the fundamental shots is a big part of a sport such as squash. Too much of a focus on basic skills repetition however, doesn’t best prepare learners for the complexities and varied situations inherent in such an open sport as squash. There obviously needs to be a balance, but being exposed to controlled game environments can really enhance the learning and deeper understanding of a sport, beyond just the bare mechanics of being able to hit a variety of different shots. So for a coach, the incorporation of more rally-based practices and open-ended drills can really accelerate learning, and help enhance decision making capabilities. Too often you see coaches construct sessions consisting of ceaseless feeding based drills, without sufficient variety in the parameters or without any introduction of crucial decision making elements. You’ll hear many experienced coaches use the phrase ‘let the game be the teacher‘, and this can be a very pertinent motto to keep in mind when constructing an on-court skills development session. How though, does this relate back to the club player training with a partner to improve their games, outside of a standard coaching environment? 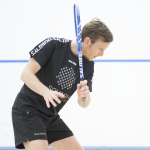 Again, practice focus at an amateur level shouldn’t fall too heavily on mere repetition of skills, and should incorporate a lot more open-ended drills with various shot options and conditioned games – check out the squash section of the site and select ‘condition games’ for some of our favourite examples of these. The Sport In Mind article linked above also goes on to talk about the use of appropriate questions in a coaching environment to enhance understanding and stimulate thought processes, with the coach acting as a facilitator for learning and not just drip-feeding answers. While the process of using questions to further comprehension and insight is ideal for use in a coaching environment, it is obviously less suited to a standard practice session for the keen amateur player. What can be utilised by any player however, is a similar process of post-session evaluation. Too few amateur players take the time to just sit and chat with their hitting partner(s) after training. While you’re going through your cool-down or doing your post-session mobility exercises, is the perfect time to discuss and reflect upon the games/drills you’ve just been working on. The feedback from an honest training partner familiar with your game can be invaluable, and is one of the easiest and most effective yet probably least utilised areas of self-development for the vast majority of club level players. To optimally develop sporting performance, there needs to be an immersion in practice and a deeper understanding of why you’re doing something, and a move away from just basic mimicry and mindless repetition without any constructive thought process. 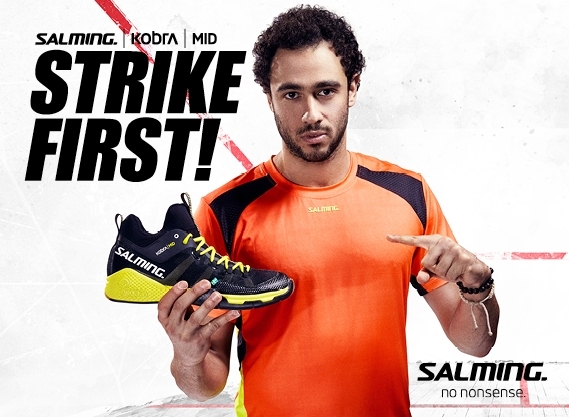 The more experienced squash player for example, will understand the importance and tactical value of the standard straight drive – setting beginners up on basic straight drive routines without any guidance or addressing of the what/when/whys behind the shot however, will most likely be of very limited value within the wider context. Similarly, aspiring club players who spend too much time going through fixed boast/drive or drop/drive routines in isolation are not optimally developing their all-around rally understanding and shot-selection/decision-making processes. Even from a strength & conditioning perspective, it can be argued that only through properly considering an exercise’s place and relevance to your sport/training goals can it be most effectively utilised. 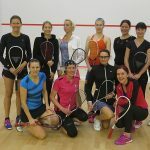 True understanding and appreciation of the functionality of an exercise is only gained through thinking about the context of an exercise’s use, how it can best be set-up and applied, and how it relates back to the specifics of what we’re trying to achieve – in our case, being a better squash player. In developing your all-around skills and squash performance then, it pays to go a little deeper and try to practice and understand the use of specific skills not just in isolation, but within the actual context and environment of rallies and the overall game. Furthermore, there is a whole raft of other great literature out there relating to learning, and whether your target is to be a better coach/educator or to be a better leaner, you owe it to yourself and/or your pupils to make the effort to expand your horizons and really consider your training methods to ensure you’re optimising sessions.